The controversy surrounding businessman Manny Pangilinan continues with the latest reports on the Internet that his past speeches also contained plagiarized passages. Businessman Manuel V. Pangilinan's controversial speech delivered last month during a commencement exercise may have not been an isolated event. Still reeling from the "plagiarism" incident stemming from accusations that Pangilinan borrowed passages from existing speeches of well-known personalities, latest postings circulating in cyberspace indicate the same offense supposedly committed by the businessman since 2007. Some of those recently cited were Pangilinan's address given separately at Xavier University-Ateneo de Cagayan (2007), 8th Asian Forum on Corporate Social Responsibility (2009), and Ateneo's Rizal Library (2010). According to a Facebook entry posted by Katrina Stuart Santiago, Pangilinan's speeches curiously contained notable similarities with those of Theodore Roosevelt, Martin Luther King Jr., and Barack Obama. The entire issue started after comparisons between the content of his Ateneo commencement address and speeches previously delivered by Oprah Winfrey, Conan O' Brien, and J.K. Rowling were posted on the Internet. Pangilinan immediately apologized for the incident and offered to resign from his post as one of Ateneo's board of trustees. The incident brought him "deep personal embarrassment," he stated. Ateneo de Manila University president Fr. 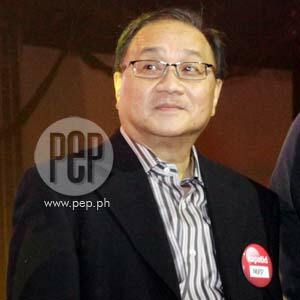 Bienvenido Nebres along with the other board members rejected Pangilinan's resignation. "The Board accepts Mr. Pangilinan's apology as the appropriate response to this unfortunate incident. However, the unanimous decision of the Board is not to accept Mr. Pangilinan's resignation. It expresses full confidence in his leadership as Chairman," Nebres said in an official statement.